The redeveloped Ballston Mall opening this fall as Ballston Quarter continues to line up new tenants, including lots of dining choices. Get ready for a Ted's Bulletin, Compass Coffee, Chick-Fil-A and Sloppy Mama's Barbecue. WASHINGTON — The redeveloped Ballston Mall, an 850,000-square-foot reboot that includes a 22-story residential tower, is nearing its fall opening as Ballston Quarter and it continues to line up new tenants, including lots of dining choices. Developer Forest City Thursday announced 12 new restaurants that have signed leases, some of them for Ballston Quarter’s huge food hall, Quarter Market. The new list also leans heavily local. “Combined with the restaurants featured in the food emporium, Quarfter Market, and throughout the edevelopment, Ballston Quarter will serrve as a new epiccenter of the region’s culinary offerings,” said Will Voegele, Forest City’s senior vice president of development. 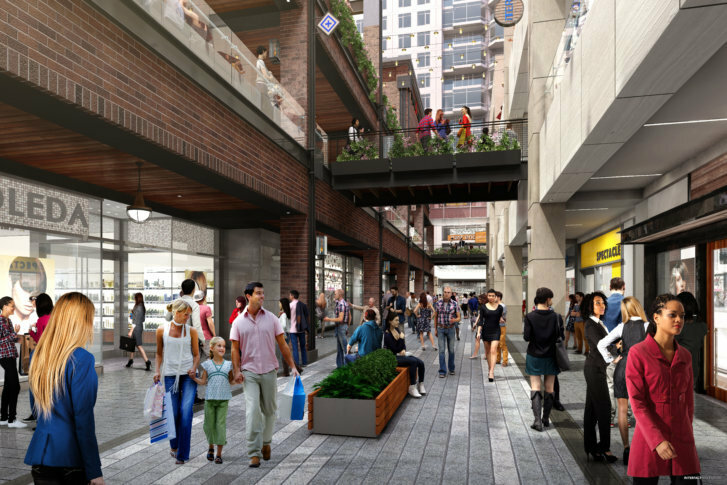 Forest City also recently released a list of new retailers that have signed on at Ballston QuarterBallston Quarter. Quarter Market, a 25,000-square-foot food hall, will be among the largest food halls in the area with at least 18 vendors. Forest City has said that nearly 40 percent of the property will account for experiential offerings, i.e. food, entertainment and education, making it one of the region’s largest entertainment hubs.